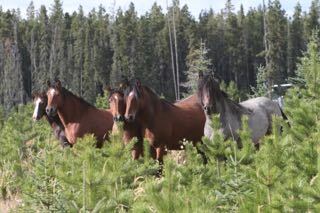 As summer comes to an end we are finding that our Alberta Mountain Horses are in excellent condition going into the fall season. The insects have diminished greatly thereby relieving the horses of a lot of stress. Now they can concentrate on building up their body reserves. Due to our continuing rains this past month, in most cases the grasses are still lush and green. The horses are in their glory. 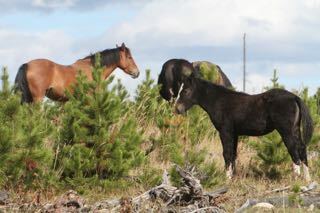 As you can see by this young colt, the foals that have survived so far are also doing very well. They continue to grow and develop the strengths they will need for the winter yet to come. WHOAS continues to work in cooperation with other groups and the University of Calgary for the benefit of our Alberta horses. The DNA collection program continues with at least 150 samples that have been collected by the researchers and waiting to be analyzed. 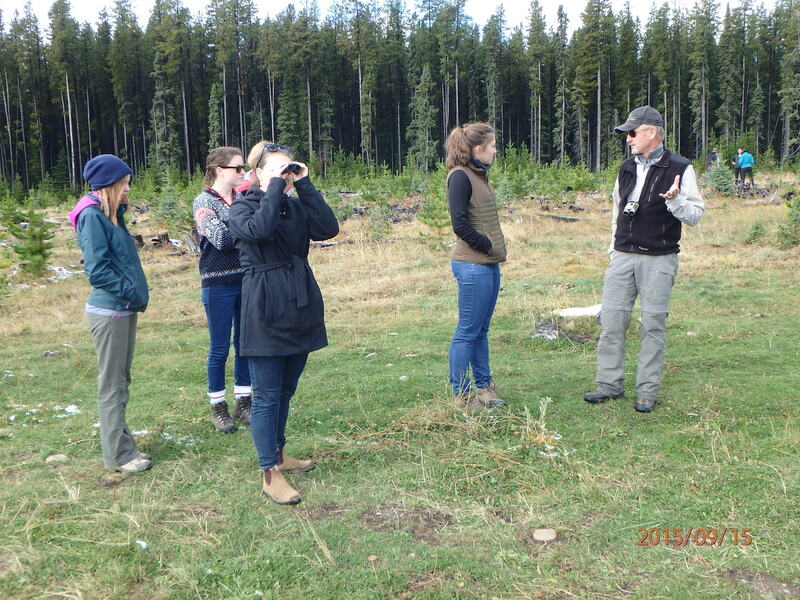 We recently participated with the Faculty of Veterinary Medicine, Department of Ecosystem and Public Health, in a field day which included 4th year veterinary students from across Canada and beyond. This was part of an elective course for the students to work on several cases involving animal, human and environmental health. The students spent the day with WHOAS volunteers at our site learning about WHOAS and our objectives and programs. 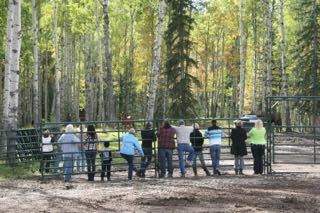 They then went into the field to study the horses in their natural environment. WHOAS is excited to work with the University of Calgary and other professional groups and individuals to further the knowledge and awareness of these beautiful horses. 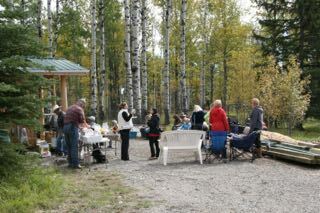 Sunday, September 20th, WHOAS hosted a BBQ for our volunteers and supporters that assisted us over the past year. The help and dedication of so many individuals made our adoption program a success. The building of our facility and recent expansion is the result of their hard work and love for the horses. 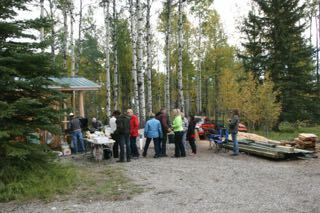 There was lots of food and camaraderie as we discussed the up and coming year. Even the resident herd made an appearance to witness what was going on! This was quite entertaining. Since WHOAS is now a registered charity, we have aligned ourselves with CanadaHelps.org. This organization collects donations and issues tax receipts for charities throughout Canada. This allows one more easy way for people to donate to the causes they believe in. In order to locate WHOAS quickly on the website, in the Search window, just type in “horses”. We also have our PayPal link as well to donate if they wish. Our major fundraising event of the year is the sale of our Calendars. We will have these available for purchase online, through the mail or at different venues throughout the fall. Orders can be placed through PayPal or by sending cheque or money order to WHOAS, Box 70022, Olds, AB, T4H 0A3. The cost is $25 each which includes postage and handling; $20 if purchased in person. Look for us at the Millarville Xmas Fair, November 6-8. Calendars will also be available at the UFA Farm Store in Olds. We look forward to your support which enables us to continue our programs.